Born in 1987, Boniface Maina is a Kenyan artist who represents a new breed of promising young contemporary artists in Nairobi. He has exhibited widely in East Africa and internationally. Maina works primarily with acrylics on canvas and ink on paper. 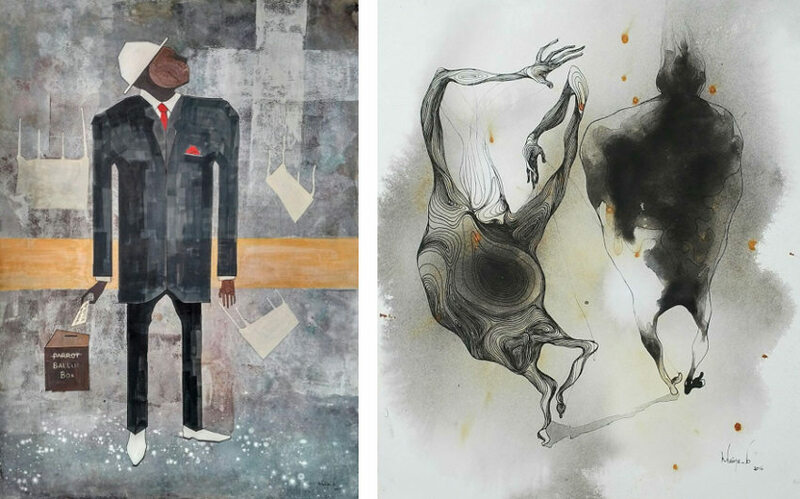 He is inspired by human reactions, personal experiences, dreams and daily encounters which he illustrates through his surrealist scenes and figures. His interest is in everyday human behavior and interaction. Thus Maina is part of a new generation of artists who are finding fame and fortune both at home and abroad through a combination of training, exposure and inner reflection based on their unique perspective in present-day Kenya. In his previous exhibitions, he criticizes the rich nations and asks the reason for their love for the poor countries of the world. He also deals with the oddities in foreign policy and international relations. But also the classical themes of the performing arts such as love and music are represented in his work. 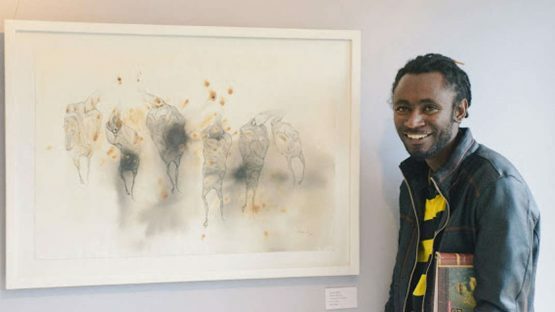 He is one of the co-founders of the Brush Tu Art Studio in Nairobi, where young artists enter into cooperative ventures. Boniface Maina lives and works in Nairobi, Kenya.